Today we have really bad news for all Star Wars games' fans. This fantastic franchise will never get the continuation, because Disney cancelled Star Wars 1313 and Star Wars: First Assault and even closed the developers' studio. After Disney purchased LucasArts last year, we were waiting for some crucial news, but they turned to be very sad. The management decided that LucasArts can't achieve the best quality of Star Wars games' development, so the studio was shut down today. The whole staff that consists of 150 people was dismissed, and now Disney is going to find another team. Star Wars 1313 and Star Wars: First Assaults games that have been under development during last months, are also cancelled. But still there is a little hope that someone else will buy the rights on these projects, though the chances are really extremely small. 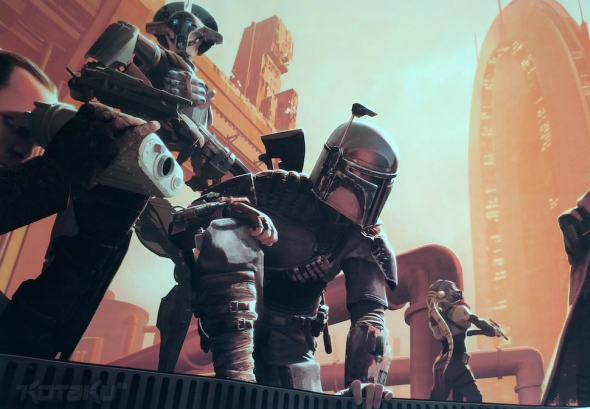 As a last goodbye from Star Wars game, the concept art of Star Wars 1313 game has appeared in the network today.